"The firm is proud to announce Zac Cohen has been installed as the President of the Bar Association of Lehigh County for 2015-2016 term." 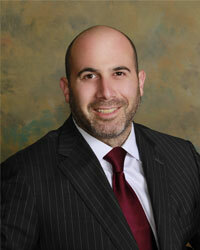 Zac Cohen, a native of Allentown, has a broad-based practice, focusing primarily on civil litigation. He served as the law clerk for The Honorable Robert Freedberg who was recently retired from the Pennsylvania Superior Court. He was also the case editor for theLehigh Law Journal, and the current President of the Lehigh County Bar Association.